Here, we are going to discuss the incredibly effective ways that will help you to work smarter. We have tried our best to gather meaningful information for you that will help you a lot and by following these steps or ways, you should not work harder. The benefit of using such tips is that you should make fewer efforts and can get more reward. 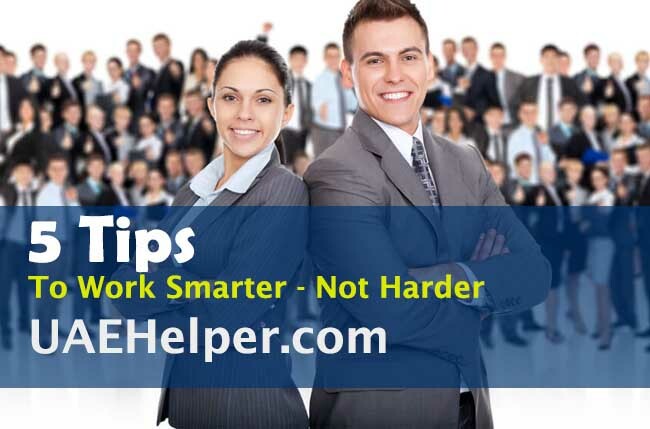 What are the 5 tips to work smarter not harder? First of all, you should estimate how much time you take to read the emails and other articles daily. Try to lessen that time to half. We don’t suggest you lose the concentration. You must speed up reading in the way; you may understand the meaning and the reason for email. Although this task needs experience and time, if you will struggle, you can definitely do it. You can read the content by dividing them into smaller groups, so, you will take less time to complete the content. Multitasking is another technique to work smarter. You should have enough skills to manage multiple tasks at a time. We don’t suggest you focus on only one task and leave the others. We suggest you manage the multiple tasks parallel. By multitasking, your performance will enhance and you will be able to manage the number of tasks in a limited time span. If you have two tasks, don’t try to focus on both complex tasks. It will be better for you to choose one easy and one complex task at a time to manage both of them effectively. We suggest to must focus on time utilization. You should know how to manage the time in an effective way. It is preferable to fix the time for a specific task and you should try your best to complete that task in that fixed time. Don’t wait for the deadline of the task. Manage the time and try to do the task before few days of the deadline. If your aim is to work smarter, we suggest you to must make the to-do list of the tasks that you must do. It is believed that if you will make the to-do list of the tasks and will manage the tasks accordingly, your life will be more balanced and your tasks will be performed at the accurate time. On the other hand, if you will not take this task seriously, you may forget some important tasks and after that, you should work harder to complete it in a limited time span. We suggest you to must take the decisions in the morning. It is believed that human can make wise decisions in the morning because at that time he is fresh and can think more positively with an active mind. According to the research, it is more preferable to make the decision after the first two hours after your arrival from sleep. At that time, you are at the peak of your performance and can make a wise decision. In the morning, your mind will free from stress and will allow you to think more positively. If you want to work smarter, you must follow all these tips. We have tried our best to explain to you the top 5 tips. All these tips are beneficial and have importance. Keep visiting www.UAEHelper.com for more informative articles.